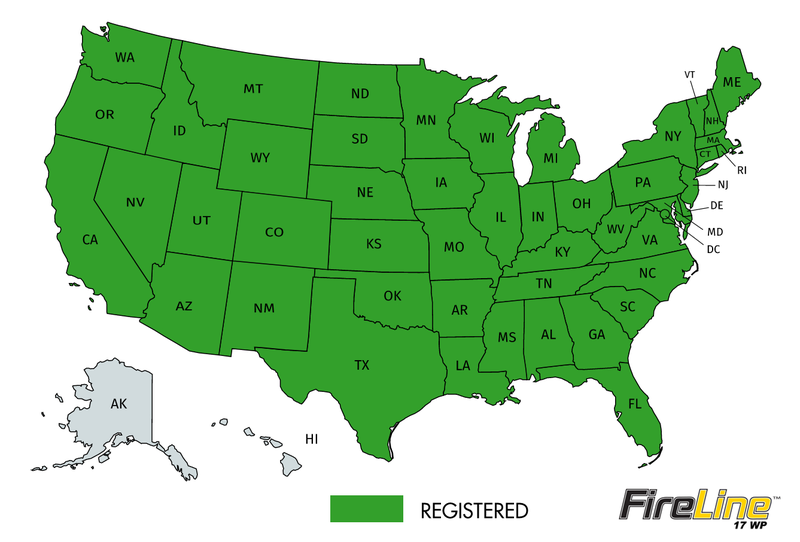 FireLine 17 is a superior formulation recommended for management of Fire Blight in Apples or Pears, Bacterial Spot in Peaches and Nectarines, and Citrus Greening (HLB)* in Citrus. FireLine 17 is specifically recommended for management of Fire Blight in apple and pear orchards where resistance to streptomycin may be present. FireLine 17 is a free-flowing, dry, wettable powder designed for ease of application with commercial sprayer equipment. In addition, FireLine 17 has an unsurpassed stability profile. *Under EPA Section 18 emergency, Florida only.